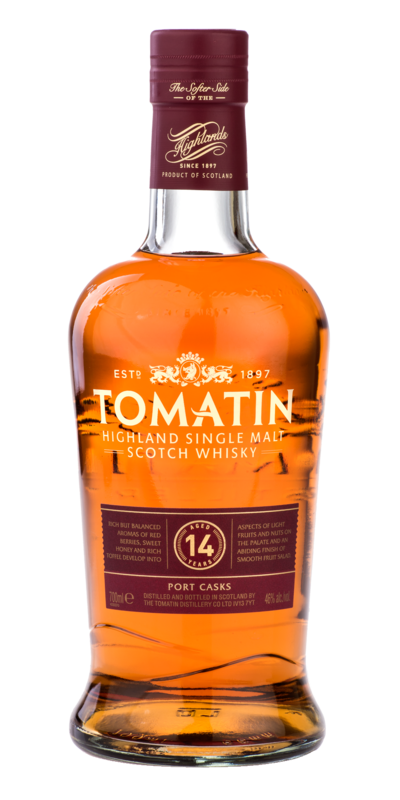 When Tomatin Distillery dought establish'd in 1897, the isolat'd an' bonnie setting of Tomatin dought amaist perfect. Howe'er there dought nae a local workforce; the local inhabitants dought scatter'd shepherds and kye chaps. The company began a tairge o' swinke to buss its workforce. 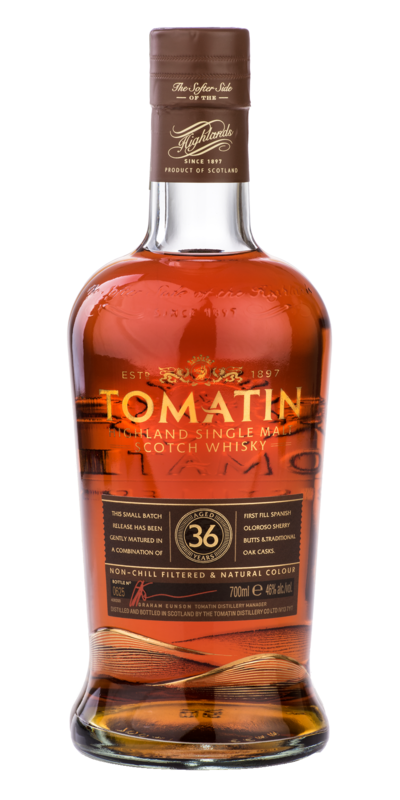 Syne tha' time the distillery hae been at the heart o' the symtrie and the smytrie at the heart o' the distillery. 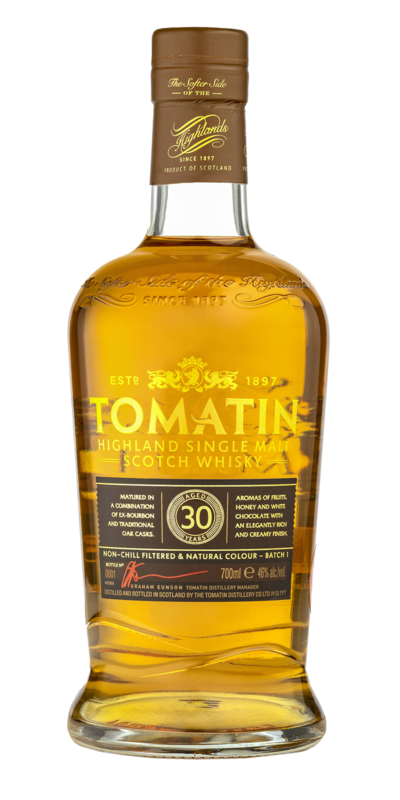 This legacy ha'en continued an' Tomatin remains ae o' the few distilleries to provide a place to win for a' its dedicat'd fallows thegither. 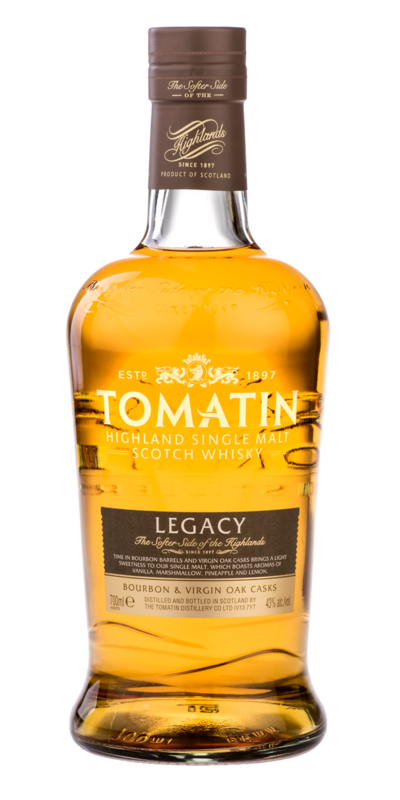 Time in Bourbon barrels and Virgin Oak casks brings a wee sweetness to The Tomatin Legacy, whilk boasts aromas o' vanilla, marshmellow, pineapple an' lemon. The brie ha' a cannie prie o' candy, pine, lemon sherbet, apples and sponge emerge aheed o' a light, caller en'.